WESTERN BROOKLYN – In emerald heels, Naomi Levin fought for votes during the morning rush. Commuters muttered “no”, and avoided campaign cards in her outstretched hand, yet she remained undeterred. The 10th Congressional district includes Manhattan’s Upper West Side, Hell’s Kitchen, Chelsea, SoHo, Greenwich Village, TriBeCa, Financial District, and Battery Park City and stretches across the Brooklyn Bridge to cover Borough Park, Kensington, Red Hook, Sunset Park, Bensonhurst, Dyker Heights, and Gravesend. This predominately white and affluent district is one of the most educated in Congress, and heavily Jewish. Levin is attempting to unseat Jerrold Nadler, one of the most liberal Democrats in Congress, who’s represented the 10th Congressional district for 13 consecutive terms. Nadler’s team say they’re not worried. Nadler, 71, has won each of his last 13 terms with more than 75 percent of the vote. He is a ranking member of the House Judiciary Committee, which is the hot seat for all federal impeachment proceedings. Nadler has already filed a resolution of inquiry into Trump’s finances and businesses. If compelling evidence is found, this could begin the impeachment process. Nadler has raised more than 20 times more money than Levin. He has the home-court advantage over Levin, a transplant who has lived on the Upper West Side for six years. City and State called him “godfather”. Well-connected, Nadler said The New York Times always takes his calls. Kellie Lynch, 26, a campaign volunteer for Levin, was excited that a young woman was running for office. A woman carrying a large city zoning map emerged from the crowd of commuters. She was on her way to protest at City Hall, but she stopped to listen to Levin. Levin explained that she supports school choice, which could make her popular among district parents, the majority of whom opted out of their zoned schools. She also wants to make rent a tax-deductible expense, which could appeal to the over two-thirds of the district who are renters with an average rent burden at 33 percent of their gross income. 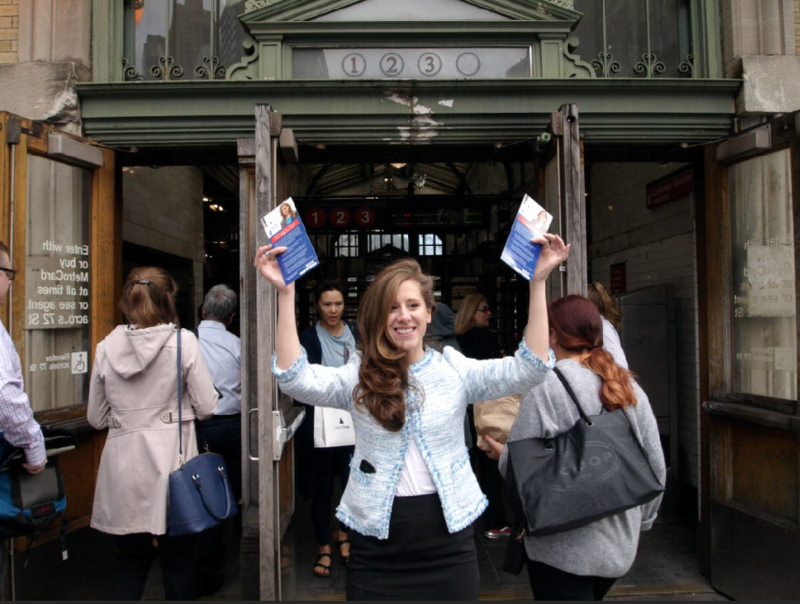 She is adamant about MTA reform at a time when 70 percent of riders rated their commute as unacceptable and over 80 percent blamed it on government mismanagement. Levin pulled her smile back up. She thinks anything can happen in an election. Correction: We incorrectly reported earlier that Nadler has already filed a preliminary inquiry for impeachment against the president. Nadler has already filed a resolution of inquiry into Trump’s finances and businesses. If compelling evidence is found, this could begin the impeachment process. Naomi Levin is completely wrong for NY-10. She doesn’t believe in school choice. 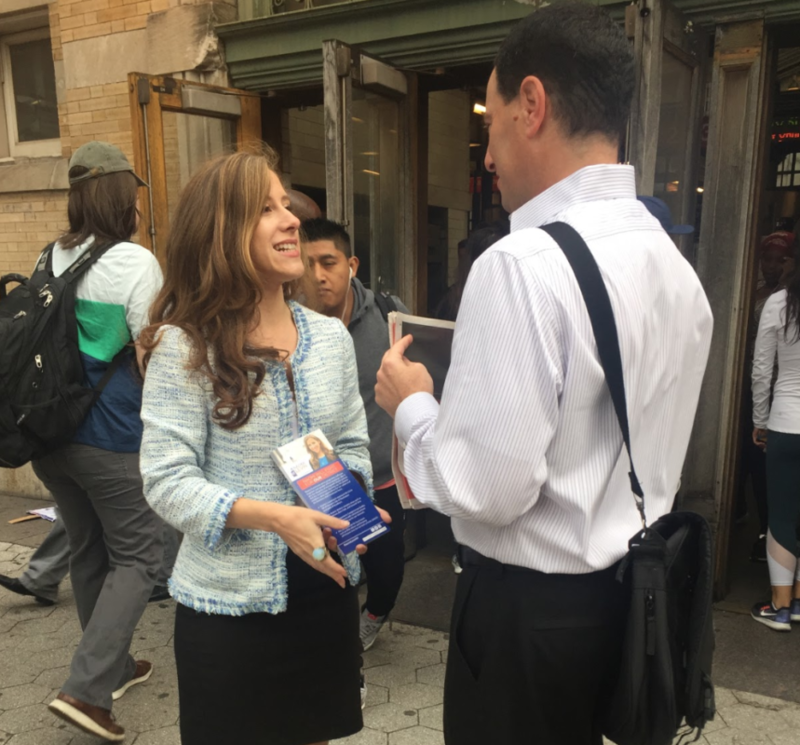 When you ask her about her platform – she spouts Success Academy test scores statistics, and does not believe their is a segregation problem in NYC schools. Her platform is based on a set of bullet points handed to her. Ones that she can’t begin to understand. She grew up in the Boston area and knows nothing of NYC life, let alone that of a parent sending their kids to public school. I met her – she assumed I was both Jewish and went to private school (because “the Jewish people are successful and send their kids to private school”). For the record the former is true, the latter is not, I am a proud NYC public school educated woman. That is an awful misrepresentation of her would-be constituents. She has no platform, just GOP/Trump talking points. NYC has no time for this. I implore the residents of NY-10 to get out and vote FOR NADLER. Naomi Levin is the right choice for NY-10 and NY State, she would finally do right by the residents of NYC. She understands Housing, Labor and daily life in New York City. Her being Jewish has nothing to do with her political stand and views. Her being conservative has nothing to do with her opinions. Her being republican is what will make New York City a place that its residents will finally be able to buy a home and still have money remain. VOTE for Naomi Levin as our new 10th Congressional district. After 13 terms – Jerrold Nadler needs to go!